The idea that money is scarce, hard to come by, collected freely from us by the IRS, and equals many hours of your precious life makes for an awkward relationship with money. Imagine if you were in a human relationship based on fear of loss, scarcity and misunderstanding. That love will quickly become a love/hate relationship which is what so many have with their checkbooks. I came from a family where I didn’t lack and marrying a poor grocer at 17 made for a reality check on aisle five in a hurry. Because of having my amenities taken from me I had to deal with transportation challenges, insufficient fund charges because we were both spending out of the same sad overburdened checking account as well as not being able to buy the things we thought we needed with cash. Viola! Credit cards. I worked at a record store…yes they had them way back when and I earned almost double the minimum wage and my husband had a union job with only part time hours. It looked like we were pretty well off…we were not as I married into his existing debt. I quickly figured out my Neiman Marcus taste didn’t sync with my K Mart (shudders) budget. It took a few bounced check fees, an angry landlord wanting timely rent to force me to seek a better understanding of money and why I should be actively managing my coin. My father was zero help because he just criticised every choice and question. I turned to the library, bookstores and trusted family friends to learn how money works and why it should work for me versus the other way around. I read biographies of self made millionaires. Dave Thomas of Wendy’s, Sam Walton of WalMart, Warren Buffet and Cal Worthington as well as Conrad Hilton. Each taught me about using money to build something bigger than myself or a fancy house or car. Once I became debt free and had savings I needed to learn how to put that money to work. No one ever built a financial legacy leaving their money in the mattress. Lazy oaf get to work! I work hard for money that layabout needs to work for me now! 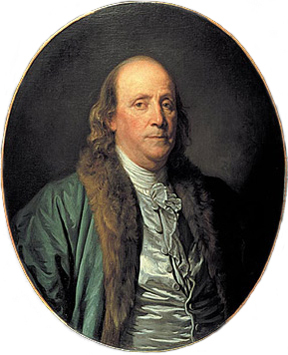 So taking a cue from America’s original rich uncle I turned to Ben Franklin. There is a reason our first millionaire is on the one hundred dolla dolla bill! George Washington was first in Military leadership and Presidency so it is fitting he is one the one dollar bill. Here is what Ben has to say about money. In this world nothing can be said to be certain except death and taxes. (See uncle Sam has a claim on your cash before it is even made so we need to operate from this truth). Content makes poor men rich; discontent makes rich men poor. (He is saying if you can find happiness where ever you are in life you won’t have to focus on spending money to be happy). Take time for all thing: Great haste makes great waste. (Researching your insurance costs, mortgage costs, ownership costs of vehicles all help us make savvy solid decisions which will benefit us most in the long run). Beware of little expenses. A small leak will sink a great ship. (The daily Starbucks, happy hours, Daily paper, lunches out are all groovy in themselves but when they become habits they prove costly over the long run. $10 a day spent during the week equals $2500 a year. That same $2500 invested at a conservative 5% rate of return would be $2500 plus $125 at the end of year one. I can always use an extra $125). Diligence is the mother of good luck. (Sticking with new attitudes about money and new empowering habits take time but are worth the commitment). …and so I leave you with a new way to think about your money as servant instead of your master. Just the act of being debt free when your credit card charges 9.9 percent makes you richer by 9.9 each year. Set up a cash reserve you call an emergency credit card and treat it as such paying yourself back in a timely fashion and building some cash for investing. My friend and financial mentor Laurie Itkin of http://www.theoptionslady.com showed me TDAmeritrade’s ThinkorSwim application which allows you to use Monopoly money to invest and get comfortable with the stock market before investing your own hard earned cash. It may not turn you into Gordon Gecko but that is A-OK, the world has too many of them already. It may however help you plan for your own future and your heirs all while providing a little extra for now. So put that little suit and tie on your cash, hand it a briefcase and send it to work. Time to make it rain. 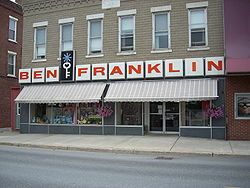 The Ben Franklin Store’s were Sam Walton’s retail chain before he turned them into the Walmart of today. He took his cue for thrift and wealth from Ben too.